So there’s going to be a remake of my favorite childhood TV show, Thundercats. I have mixed feelings on this (like I do with just about everything). On one hand, must we reboot everything? Are there really no new ideas? There’s nothing wrong with letting an old show stand on it’s own. 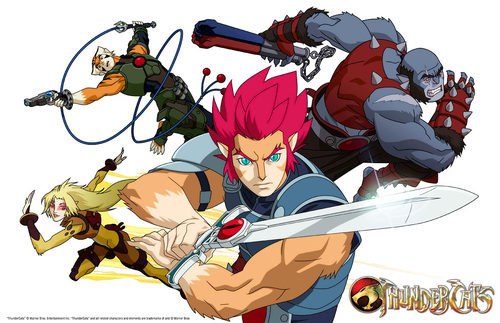 On the other hand, I’m not too upset at the anime Lion-o. Thundercats was awesome and I love it to death, but it’s not this untouchable franchise. Yes, I grew up with this show, but it really didn’t age well. I purchased the series on DVD and as much as it pains me to say, it it does not hold up. Friends come over and see the boxes on my shelf and get all excited, but really, it’s not as good as you remember. It may look a little weird, but as my cousin quipped, “some Thundercats is better than no Thundercats.” I concur.